As a player for the Philadelphia Phillies, Pedro Martinez now resides in Philadelphia. But he also has a home in the Dominican Republic where he was born. Martinez was born on October 25, 1971 in Manoguayabo, Dominican Republic. He showed promise and was spotted by baseball scouts. His pro career began in 1988 when he selected by the Los Angeles Dodgers. He spent a few years in the Dodgers’ farm leagues. His pro debut was in 1992 pitching two scoreless innings. Although he had a strong follow up season, Martinez was traded to the Montréal Expos in 1994. It was while playing for the Expos he began showing his potential. 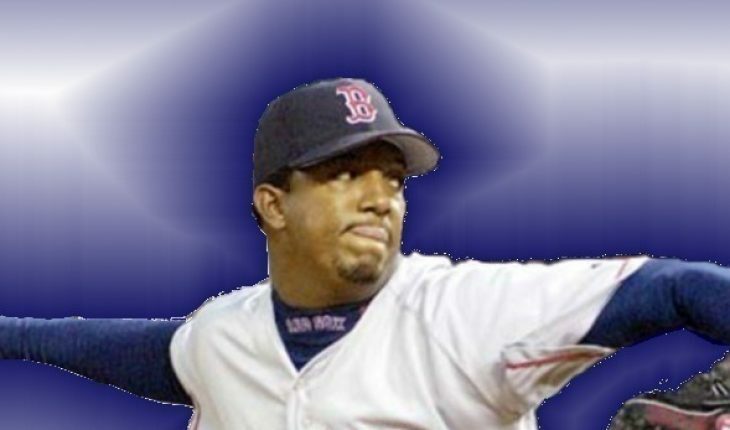 In 1995 he pitched 9 scoreless innings and in 1997 Pedro Martinez posted a 17-8 record. That year he led the MLB with an ERA of 1.90 and had over 300 strikeouts. He won the Cy Young Award. That same year he had 13 complete games. In 1997 he signed a contract with the Boston Red Sox. In 1998 he had a 19-7 record. His ERA was second best in the AL. The following year he posted a 23-4 record. His ERA was 2.07. He also had 313 strikeouts. He got the Triple Crown and another Cy Young Award. He won the All Star Game MVP in 1999. In 2000 Pedro Martinez posted an ERA of 1.74 and got his third Cy Young. From 1999 to 2000 Martinez had an ERA of 1.90. In 2001 he suffered an injury and his ERA was 2.39. He came back in 2002 with a league best ERA of 2.26 and registered 28 strikeouts. His record was also an impressive 20-4. In 2003 he again led the league with an ERA average of 2.22. He only had an ERA of 3.90 in 2004 but he still had a 16-7 record. He started playing for the New York Mets in 2005 and had a record of 18-5 and an ERA of 2.82. After a good start to the 2006 season, Pedro Martinez suffered an injury. He spent most of 2007 nursing an injury to his left calf. He came back in the last part of 2007, but in 2008 he was again saddled with injuries. In 2009, he signed a contract with the Philadelphia Phillies. His total win loss record is 218-99 with an ERA of 2.93. His strikeouts number 3,144 and has pitched a total of 2,812 innings. He has been in six All Star Games (from 19996-2000, 2002, 2005 and 2006). He has won the Cy Young Award three times and won a World Series Championship in 2004 with the Boston Red Sox. He won the AL Triple Crown in 1999 and led the AL in ERA in 1999, 2000, 2002 and 2003. His often colorful remarks and quotes have made Pedro Martinez into one of the game’s most controversial players. Whatever one thinks of his personality, his prowess as a pitcher cannot be denied.